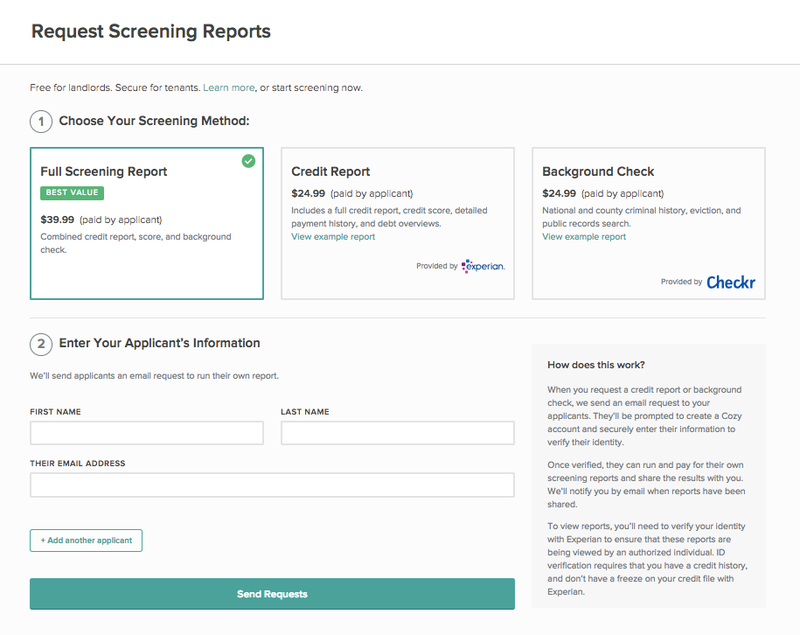 If you're requesting reports from multiple applicants, each person will need to purchase their own screening reports. Once you've supplied this information, you'll be asked a short series of more in-depth security questions that only someone with significant knowledge about your financial history will be able to answer. The questions are only used to verify your identity, and aren't stored or used for any other purpose. Your credit is not accessed or affected. Once you successfully answer these questions, you'll be able to view the credit report. Screening reports expire after 30 days, but if you'd like to keep a copy for your own records you can print or save a credit report directly from your browser, and you can download the background check PDF directly and either print or save it. Tenants can also include their screening reports as part of the application process, as shown here.